Orange Creamsicle anything is such a nostalgic flavor. It brings back so many childhood memories. I used to love eating orange creamsicles outside in the summertime. And really who, doesn’t love an orange and sweet vanilla combination? These particular floats, however, are a little different. We are going to be using fresh mandarin oranges here. 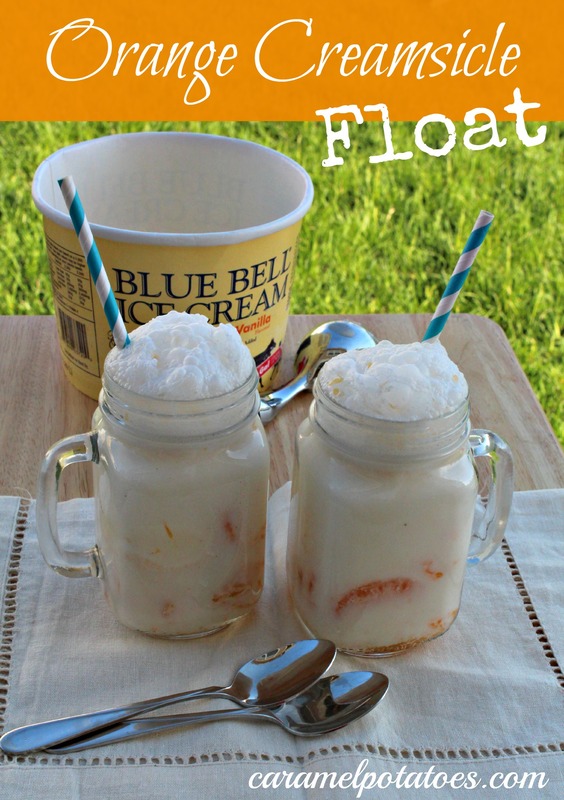 Add the fresh oranges really brightens this float up even more. Remove the rind from the oranges. Supreme the oranges into a small bowl and squeeze the juice from the membrane over them. Stir in the vanilla. Divide the oranges and juice between two tall glasses or mason jars. Add two scoops of ice cream to each glass. Top off with the club soda. Stir once and serve immediately with a tall spoon and a straw. Yumm sounds wonderful I’m adding the ingredients to my shopping list!!! Looks fun for summer. We’ll be making these soon!